Shortage of nurses is a common problem in the world. In Hong Kong, the shortage of nurses is par-ticularly serious. The nurse’s workload directly influences the quality of patient care. 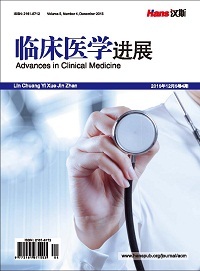 Objective: To explore the difficulties encountered by clinical nurses in providing “Holistic Care” in the acute hospitals of the Hospital Authority of HKSAR. Method: The qualitative study approach using indi-vidual interview was adopted, and a total of 15 clinical nurses were interviewed during the period from September 2014 to May 2015. The interview was transcribed verbatim and subject to content analysis. Result: Three themes emerging from work difficulties included: 1) managing different people needs; 2) limitation at work; 3) self-management. The most difficult ones were mainly from patients who were more difficult to take care of, such as unreasonable, depressed and failed to treat or facing death, and it was not easy to deal with the relatives’ emotion. The interviewees overcome these difficulties through self-regulation, the help of others and faith support. Conclusion: The interviewees generally considered that the lack of manpower led to inadequate care, but patients were quite receptive to their services and their responses were positive. Hospital Authority (2001) Position Statement on Holistic Nursing. Nursing Section, Hospital Authority, Hong Kong. 香港特别行政区政府. 医疗规划及发展统筹处. 医疗人力规划和专业发展策略检讨——报告[EB/OL]. http://www.hpdo.gov.hk/tc/srreport.html, 2018-02-06. 香港特别行政区政府. 政府统计处. 香港统计资料[EB/OL]. https://www.censtatd.gov.hk/hkstat/sub/so20_tc.jsp, 2018-02-06. Kumari, S.S.M.H. and De, A.C.A. (2015) The Nursing Shortage Impact on JobOutcome (The Case in Sri Lanka). Journal of Competitiveness, 7, 75-94. 余明珠, 丁梅月. 影响整体护理深入开展的相关因素和对策[J]. 实用护理杂志, 2002, 18(9): 11. 李娜. 我国临床整体护理开展现状[J]. 中国实用护理杂志, 2017, 33(2): 157-160. Polit, D.F. and Beck, C.T. (2014) Essentials of Nursing Research: Appraising Evidence for Nursing Practice. 4th Edition, Lippincott Williams & Wilkins, Philadelphia, PA, 274-275. 陆亮. 全人关顾系列六: 全人关顾个案实录[Z]. 香港: 那打素全人健康持续进修学院, 2017. Morse, J.M. and Field, P.A. (1996) Nursing Research: The Application of Qualitative Approaches. 2nd Edition, Chapman & Hall, London. Lincoln, Y.S. and Guba, E.G. (1985) Naturalistic Inquiry. Sage, Beverly Hills, AC. 潘菊芳, 沈小兰, 曹燕. 整体护理实施过程中的护士心理现状与对策[J]. 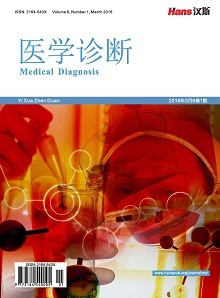 心理医生, 2012(1): 95. Boychuk Duchscher, J. (2009) Transition Shock: The Initial Stage of Role Adaptation for Newly Graduated Registered Nurses. Journal of Advanced Nursing, 65, 1103-1113. Cheung, T. and Yip, P.S.F. (2015) Depression, Anxiety and Symptoms of Stress among Hong Kong Nurses: A Cross-Sectional Study. International Journal of Environmental Research and Public Health, 12, 11072-11100. Wu, T.Y., Fox, D.P., Stokes, C. and Adam, C. (2012) Work-Related Stress and Intention to Quit in Newly Graduated Nurses. Nurse Education Today, 32, 669-674. Yoder, E.A. (2010) Compassion Fatigue in Nurses. Nursing Research, 23, 191-197. 王露, 刘丽萍, 赵庆华, 刘琴. 我国责任制整体护理研究的系统评价[J]. 中国实用护理杂志, 2016, 32(3): 213-217. 邓行爱, 郑耀珍. 给予人文关怀深化整体护理[J]. 中华护理杂志, 2003, 38(9): 707-708. Wengstrom, Y. and Ekedahl, M. (2006) The Art of Professional Development and Caring in Cancer Nursing. Nursing Health Sciences, 8, 20-26. Byrne, C.J., Morton, D.M. and Dahling, J.J. (2011) Spirituality, Religion, and Emotional Labor in the Workplace. Journal of Management, Spirituality & Religion, 8, 299-315. Ivtzan, I., Chan, C.P.L., Gardner, H.E. and Prashar, K. (2013) Linking Religion and Spirituality with Psychological Well-Being: Examining Self-Actualisation, Meaning in Life, and Personal Growth Initiative. Journal of Religion and Health, 52, 915-929. Koenig, H.G., King, D.E. and Carson, V.B. (2012) Handbook of Religion and Health. 2nd Edition, Oxford, New York.